These are the terms and conditions (Sales Terms) that apply when you purchase products on our website from L'OCCITANE Singapore Pte Ltd (hereon referred to as L'OCCITANE). 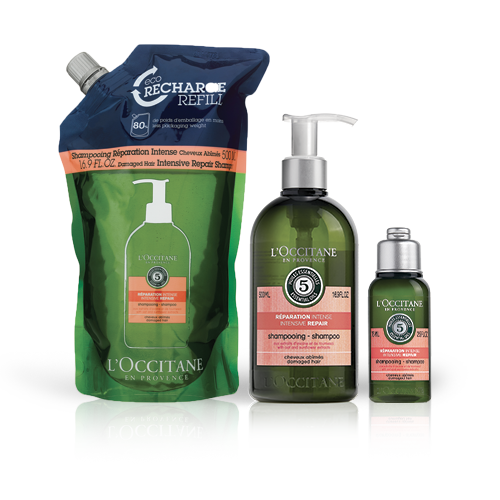 By placing an order for merchandise through sg.loccitane.com, L’OCCITANE microsites, mobile sites, or mobile applications (collectively our Website), you accept these Sale Terms and agree to be bound by them. We may change the Sale Terms from time to time. By continuing to use our Website after we post any of such changes, you accept the Sale Terms, as modified. If you have any questions about the Sale Terms or any aspect of your order, please contact our Customer Service department by sending us a message through the Contact Us tab that is accessible via the CUSTOMER SERVICE link on our Website or call +65 6732 0663. My L’Occitane membership program is available at all L’Occitane Singapore boutiques and official online store, except for DFS and Airport stores. Every customer can only sign up for one membership card, which will be identified by unique mobile phone number. Membership card and privileges are non-transferrable. Membership program runs by a 12-month cycle from 1 Apr of a year to 31 Mar of the following year. Simply spend S$800 nett in one or more receipt(s) at any of our boutiques island-wide and/or official online store within one calendar year starting 1 Apr, to qualify to be upgraded to Gold membership in the next calendar year starting 1 Apr. Simply spend S$800 nett in one or more receipt(s) at any of our boutiques island-wide and/or official online within 12-month period before Gold member status expiry to have status renewed in next calendar year starting 1 Apr. Members who do not achieve required spend will be renewed as Club member status instead. For spend on Singapore official online store to be taken into consideration in the accumulated points or spend for upgrade, purchases need to be done on online account linked to membership, which uses email address as the unique identifier. Welcome voucher will be sent via SMS after membership confirmation, and can only be used during your next store visit with a required minimum nett spend, at all L’Occitane Singapore boutiques except Singapore official online store and non-participating stores as outlined in clause 1. Not applicable for use in conjunction with member’s birthday discount. 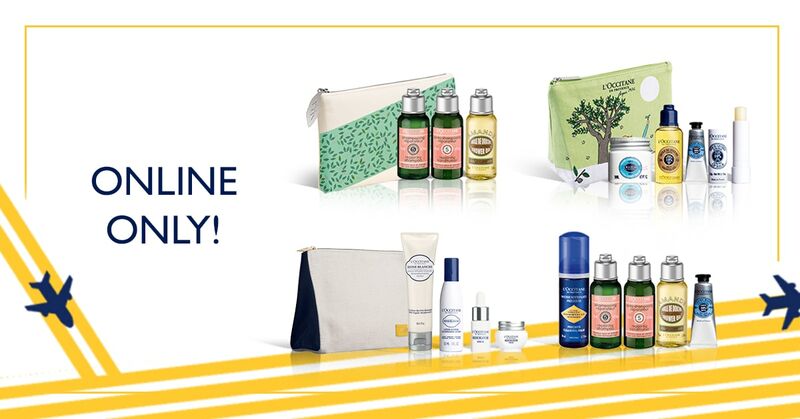 Birthday discount is only applicable for use on regular priced items for a one-time purchase during member’s birthday month, at all L’Occitane Singapore boutiques, except Singapore official online store and non-participating stores as outlined in clause 1. Not applicable for use in conjunction with Welcome Voucher and Event discounts, including Double Bonus Points program. Birthday discount will only be extended if member’s DOB is updated in member’s profile before birthday month. Points accumulated will be valid for use until 31 March in the same year or following year, whichever is nearer to date. Points can only be redeemed at L’Occitane Singapore boutiques, except Singapore official online store and non-participating stores as outlined in clause 1. Opt-in for SMS communications is required in order to receive your membership privileges. L’OCCITANE Singapore reserves the final right to alter the terms & conditions without prior notice. In the event of any dispute, the decision of L’OCCITANE Singapore Pte Ltd shall remain final. Orders are subject to verification and acceptance before shipping. All billing information provided must be truthful and accurate. Providing any untruthful or inaccurate information constitutes a breach of these Sale Terms and may result in cancellation of your order. Prior to accepting an order, L’OCCITANE reserves the right to request additional information from you to verify your identity and validate the billing information to process your order. We reserve the right to refuse or cancel an order for any reason, including limitations on quantities available for purchase, inaccuracies, or errors in product or pricing information, or problems identified by our credit and fraud prevention department. If your order is cancelled after your credit card (or other payment account) has been charged, we will issue a credit to your credit card (or other applicable payment account) in the amount of the charge. We will contact you if all or any portion of your order is cancelled or if additional information is required to accept your order. 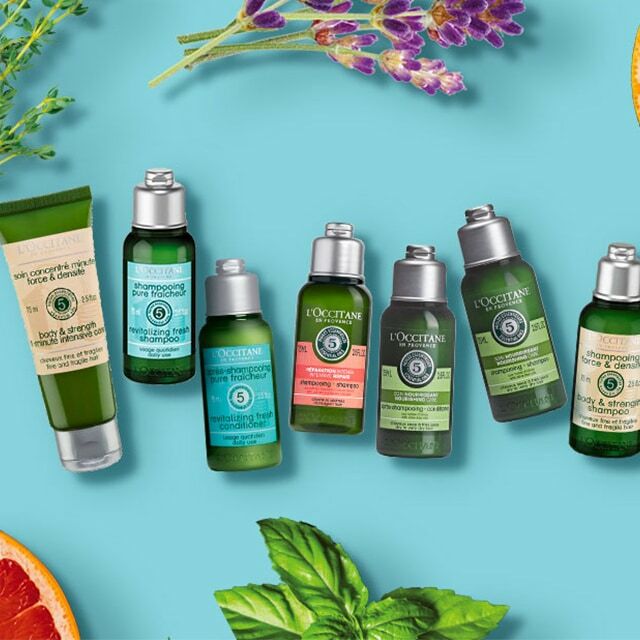 L’OCCITANE may request a pre-authorization for some orders placed online with a credit or debit card. This pre-authorization will not be billed to you; however, your card issuer may hold this amount for a short period. Your card issuer determines the length of time the pre-authorization is held. We do this to ensure that the card details are still valid and that you have sufficient funds to complete the transaction. L’OCCITANE reserves the right in its sole discretion to limit the quantity of items purchased per person, per household, per email address, per IP address or per order for any reason. These restrictions may apply to orders placed by the same account, the same credit card, and also to orders that use the same billing, email, IP and/or shipping address. We will notify you should such limits be applied. You are responsible for providing sufficient and accurate shipping address (including street address, block and unit number, or postal code). L’OCCITANE will not be responsible for undelivered goods as a result of error in the information you provided. If an item of merchandise is delayed or becomes unavailable, or if there is an error on our Website relating to the order (for example, an error relating to the price or description of merchandise), L’OCCITANE may cancel the order. If this occurs we will contact you so you are aware. The merchandise sold on our Website is intended for personal use only, not for resale. Any suspected resale of our merchandise for personal or business profit is strictly prohibited. We will not accept and reserve the right to cancel orders that appear to be for resale purposes. Any orders found to have characteristics of reselling, such as large quantities, frequent orders, orders by dealers or resellers or the use of freight forwarding, may be cancelled in the sole discretion of L’OCCITANE, and L’OCCITANE shall have the right to cancel all subsequent orders from any such customers. For purposes of this Agreement, reselling shall be defined as purchasing or intending to purchase any merchandise from L’OCCITANE for the purpose of engaging in a commercial sale of that same merchandise with a third party. The standard home delivery fee is $8 for all purchases. Purchases are scheduled to arrive within three (3) to five (5) business days from the processing day of the customer’s order. Orders will be processed on the day of purchase, provided the order is made before 12pm on a business day. Any orders made after 12pm on a business day will be treated as orders of the next business day. Customer must ensure that there is someone at home to receive the delivery any time between 10am to 6pm. The delivery personnel will call or SMS the customer shortly before arrival. We deliver to all locations in Singapore except embassies, LTA, ICA, NTU, NUS, Singapore Poly, Military, Shipyard, Cargo Complex, Airline House, Alps Ave, Jurong Island, Sentosa Island, or other places with large compounds. We do not deliver to P.O. boxes. L’OCCITANE Website regularly uses technologies such as cookies. A cookie is a small file stored by your web browser on your computer. Cookies allow us to recognize you when you arrive at our Website by associating an anonymous identification number in the cookie. At no time is your name, street address, or credit card number stored within one of our cookies. These cookies allow us to understand how you clicked to our Website and what pages you click on during your visit to our Website. Understanding how you shop allows us to improve and personalize your shopping experience and speed your checkout process. We may use technologies such as cookies to provide you with enhanced online display advertising tailored to your interests. Our Website is not directed to individuals under the age of eighteen (18), and we request that these individuals do not provide personal information through our Website. We do not knowingly collect information from children under 18 without parental consent. Under no circumstances and under no legal or equitable theory, whether in tort, contract, strict liability or otherwise, shall L’OCCITANE or any of its affiliates, employees, directors, officers, agents, vendors or suppliers be liable to you or to any other person for any indirect, special, incidental or consequential losses or damages of any nature arising out of or in connection with the use of or inability to use our website, including, without limitation, damages for lost profits, loss of goodwill, loss of data, work stoppage, accuracy of results, or computer failure or malfunction, even if an authorized representative of L’OCCITANE has been advised of or should have known of the possibility of such damages. Subject to the foregoing, in no event will L’OCCITANE be liable for any damages in excess of the fees paid by you in connection with your use of our website during the six-month period preceding the date on which the claim arose. All copyrights, trademarks, trade dress, other intellectual property and materials, including page headers, images, text, illustrations, formats, logos, designs, icons, photographs, programs, music clips or downloads, video clips and written and other materials on our Website (collectively, the IP) are owned, controlled or licensed by L’OCCITANE, one of its affiliates or by third parties who have licensed their materials to L’OCCITANE and are protected by Singapore and international trademark and copyright laws. You may access, view, download, and print the IP and all other materials displayed on our Website for your personal, non-commercial use only; provided, however, that you (1) retain all copyright, trademark or other proprietary designations contained on all IP; (2) do not modify or alter the IP in any way; and (3) do not provide or make available the IP to any third party in a commercial manner. No license, right, title, or interest in any materials or software is transferred to you as a result of your use of our Website or your accessing, viewing, downloading, or printing of the IP. You may not reproduce (except as noted above), publish, transmit, distribute, display, modify, create derivative works from, sell or participate in any sale of or exploit in any way, in whole or in part, any of the IP, our Website or any related software. All software used on our Website is the property of L’OCCITANE or its suppliers and protected by Singapore and international copyright laws. The IP and software on our Website may be used only as a shopping resource. 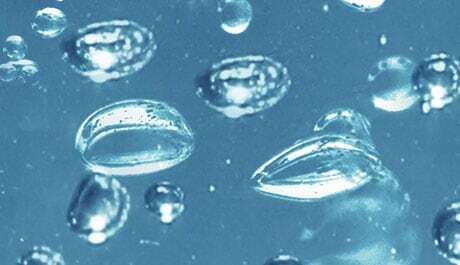 Any other use, including the reproduction, modification, distribution, transmission, republication, display, or performance, of the IP on our Website is strictly prohibited. The compilation (meaning the collection, arrangement, and assembly) of all IP on our Website is the exclusive property of L’OCCITANE and is also protected by Singapore and international copyright laws. The trademark and service mark L’OCCITANE, the loccitane.com.sg domain name and all other graphics, logos, page headers, button icons, scripts, and service names included in or made available through any of our Website are trademarks or trade dress or otherwise the exclusive property of L’OCCITANE in Singapore and other countries. L’OCCITANE welcomes feedback on your experience with our merchandise. We will publish on our Website both positive and negative comments, so long as the comments, reviews or testimonials (collectively, Testimonials) are accurate, constructive and not misleading. If you submit Testimonials that we do not publish on our Website, our customer service department may contact you in order to improve our product quality and service. We also reserve the right to edit all Testimonials for length, spelling, grammar, or for any other reason in our sole discretion so long as the meaning of the Testimonial is not materially altered. By submitting a Testimonial to L’ OCCITANE, you hereby grant to L’OCCITANE the unrestricted right to use your Testimonial in perpetuity, through any and all media formats and media channels now known or hereinafter developed, without compensation, and to identify the source of the Testimonial by indicating your first name, last initial, city and/or state. Thank you for taking the time to share your thoughts with other L’OCCITANE customers.